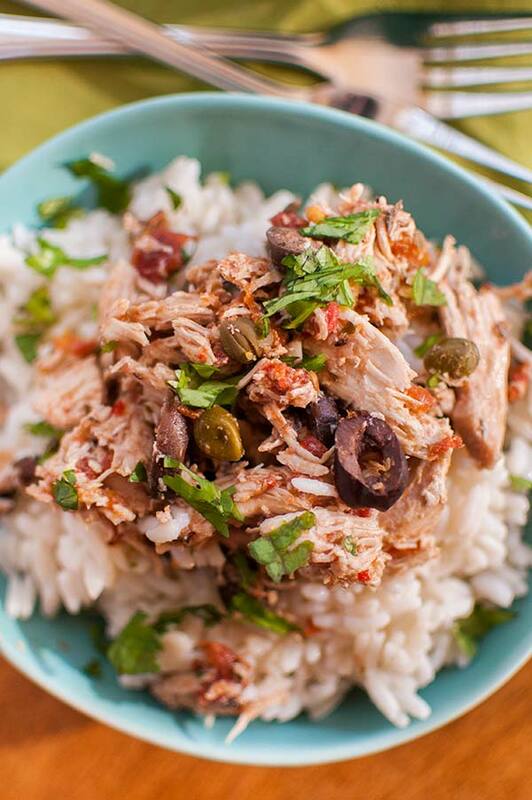 The results from my poll are in, you guys want to see more simple and healthy dinner recipes, and this recipe for slow cooker shredded puttanesca chicken is just the start! I’m a huge fan of slow cooker recipes that take five minutes in the morning (for this recipe, all that is required is gathering the ingredients and dumping them in the slow cooker). I was inspired by the flavours from the always-delicious Puttanesca pasta for this shredded chicken and if you’re a fan of pasta Puttanesca (which I’m sure you are if you’re reading this post), you’ll notice that there are no anchovies in here. While I love the flavour anchovies add, I’m not really sure how well they would work in the slow cooker – ha. But it’s loaded with flavour from kalamata olives, capers and garlic. If you’re looking for another simple slow cooker chicken recipe, my shredded chicken tacos in the slow cooker will 100% fit the bill. While as delicious as this chicken is, that’s not really what I feel like talking about today. Do you ever have that moment when you’re reading something and all of a sudden you stumble upon a sentence that stops you in your tracks? Something you just have to write down and save for later. It’s one of the things I love about reading and language, words have the ability to create such powerful and moving sentences. 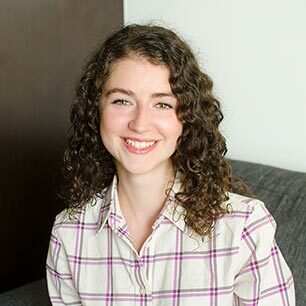 If you’re following me on Instagram, you’ll know that I’ve been doing a lot of reading and research for the thesis paper I’m writing (the countdown is on…5 weeks until it’s due, yikes.) I had one of those moments a couple of days ago when I was reading this great piece in Relevant Magazine called “Why Do We Watch Movies?”. But cinema is more than just a window. It’s also a magnifying glass. It focuses our attention on everyday reality in a way that makes us see everyday reality for what it really is: magnificence and curiosity. Wow. On so many levels. This sentence just really hit me. First of all, magnificence and curiosity are two of my favourite words, they are beautiful words that I don’t use nearly enough, but I think I will from now on. I feel as though they are such an amazing way to describe life. Don’t you? On another level, I’ve had a love-hate relationship with film for the past four years. I’ve been immersed in film school, and I think studying anything can kind of take a bit of the joy out of it, at least for a little while. But just reading that sentence was an “a-ha” moment for me; it reminded me of why I fell in love with movies in the first place. Do I want to pursue a career in the film industry like I once thought? At this moment, almost one month away from my 22nd birthday, I’m going to have to say no, not really. But ever since learning about the Renaissance Man in my 12th grade world history class with one of my all-time favourite teachers, I’ve said that I want to be a Renaissance Woman. So who knows how film will fit into that picture, but I have an inkling it will pop up somewhere at sometime. Enjoy the much-loved flavours of pasta puttanesca in this simple slow cooker shredded puttanesca chicken. 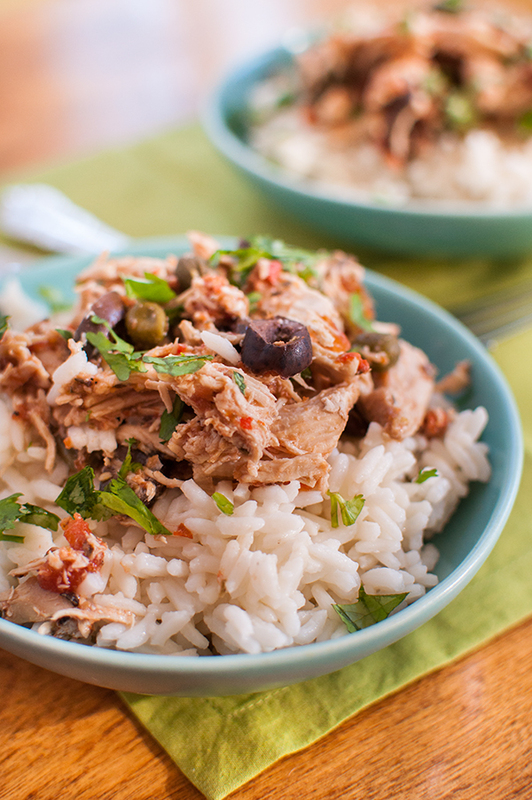 Loaded with tomatoes, kalamata olives and capers, this chicken will please any crowd. Break up whole tomatoes with your hands or a potato masher. Cook on high for 4 hours or low for 7 hours. Remove chicken from slow cooker and shred with two forks. Add back into liquid and serve over rice and garnish with parsley.